Deborah Arpino is a florist and stylist. Over the past 25 years, she has developed a distinctive look that is inspired by her love of flora, fauna and France. Driven by her passion of finding unusual decorative objects and combining them with beautiful flowers, plants and candles, Deborah opened her gorgeous flower & lifestyle shop in Sevenoaks 12 years ago. Flower & Glory is far from your usual flower shop! 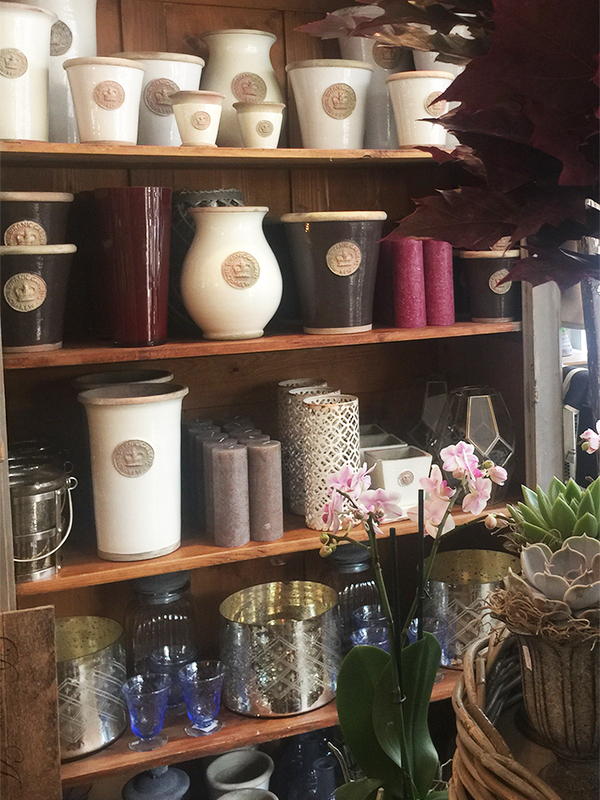 When you walk in to the store, your senses are brought alive with the gorgeous smells that welcome you and then, you’ll be inspired by the wonderful flowers, plants, candles and decorative objects that fill the shop. Deborah is always on the lookout for something unusual that you won’t find on the High Street, so buying trips take her to France, Belgium and Holland (France is her real love and that’s where she has her second home and lots of family). Flowers for weddings, parties and events are prepared by Deborah and her fabulous team of florists (who are equally passionate about flowers) on the top floor of the shop in Sevenoaks. This is where gorgeous displays are created, along with hand-tied bouquets and arrangements for the shop and customer orders. The workshop has been designed to inspire, so it’s filled with lovely basket ware, old wire-work containers, metal urns, terracotta planters and gorgeous glassware. Flowers and plants come in daily to ensure quality and freshness so there’s always something different going out the door.